The major down pour of rain at Lovebox was between 5:30 and 6pm. Right on time for Katy B’s set. Still, her bouncy, rousing and engaging set was just the right antidote. The last 12 months has seen Katy B shoot to stardom, and yet she still remains the same down-to-earth lass she was before it all went crazy for her. Dressed in a mele of colour, yellow willies, pink skinny jeans, fire red hair and blue nail varnish, she bought a little sunshine to the grey skies hanging over Victoria Park. Her set was like a full on rave outside. With only one album, the majority of the set was predictable; all the singles songs made the expected appearances – Broken Record, Easy Please Me, Katy On A Mission, Perfect Stranger. The way she performed, predictable it was not. 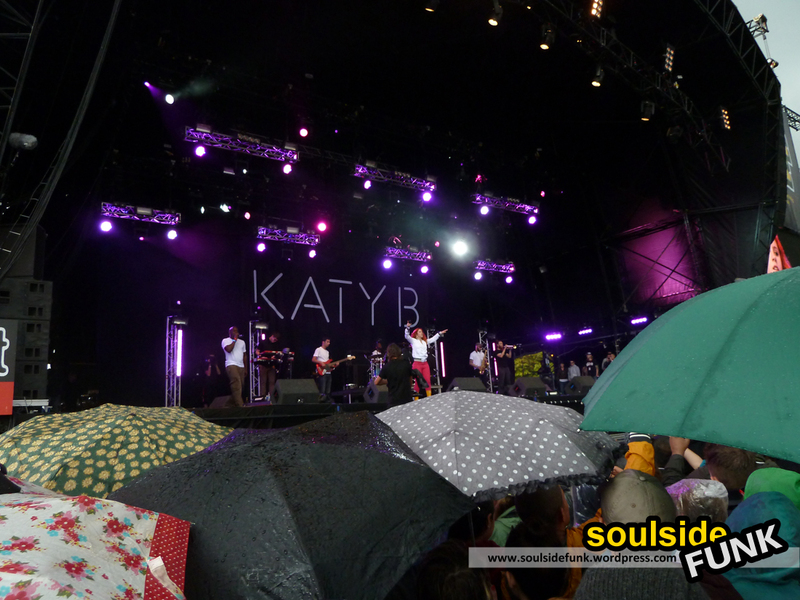 Full of life, it was like Katy B was on a one woman mission to clear the skies. The basslines flexed, Katy’s voice, which is far better live, rung out. She looked energised. Then the unpredictable part of the set. Katy, a self-confessed raver, gave homage to the classics which saw her fire out timeless cuts like Gabrielle. Karaoke en-mass in the pouring rain, it was (day) festival gold. Through the sea of umbrellas was she was just having fun and so were we. After a few songs, no one really cared about the few litres of rain falling down. She had an early set so was finished far to soon. Good thing I got tickets to her show at Bush Empire for a full helping of Ms. B. 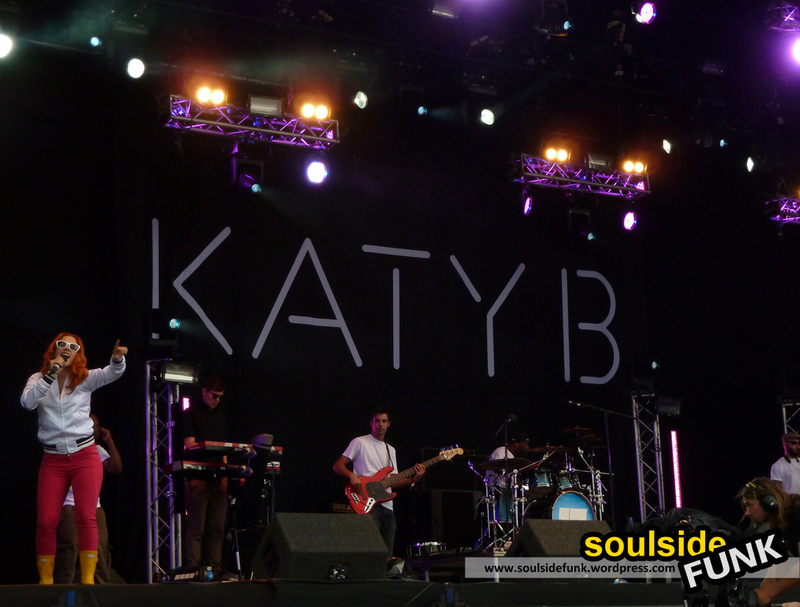 Posted in Gig Photos, Gig ReviewsTagged Concert, festival, Gig, Katy B, Katy On A Mission, London, Lovebox, Music, Victoria ParkBookmark the permalink.